Wow, what a home for the price. This home has recently had a total makeover. Beautiful hardwood floors are thru most of the home. This kitchen has new granite counter tops and island. A brick fireplace has gas logs for the kitchen and set up for gas logs in the living room. The bedrooms are good size and one bedroom was made into a huge master bath with walk in shower. 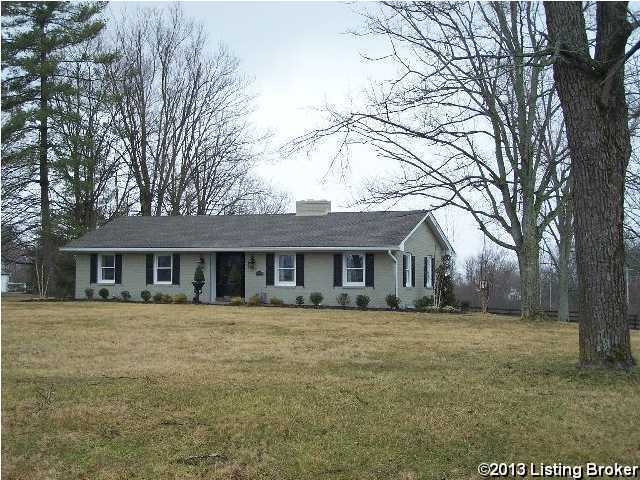 Nice sunroom is great to enjoy the great views of the farm land behind you. The unfinished walk out basement is already framed and plumbed to finish out 2 more bedrooms and a bath. This home is immaculant, ready to move into. Shows great and priced right. 2570 Shelbyville Rd, Shelbyville KY 40065 is a Home, with 2 bedrooms which is recently sold, it has 1,770 sqft, 0 sized lot, and 2 Car Garage,Detached parking. A comparable Home, has 6 bedrooms and 5.5 baths, it was built in and is located at 3661 Taylorsville Rd Shelbyville KY 40065 and for sale by its owner at $ 1,785,000. This home is located in the city of Shelbyville , in zip code 40065, this Shelby County Home, it is in the NONE Subdivision, and Town N Country are nearby neighborhoods.